Emily’s path to education began in the seventh grade as a volunteer tutor at Martha’s Table. She was paired with a student her age and grade to help with his homework. As they worked together, Emily soon discovered that he was unable to read. It was both shocking and confounding for the then 12-year-old. Those six months as a volunteer changed the way Emily looked at education, and she vowed to give back to her hometown. After high school, Emily attended the University of North Carolina, Chapel Hill (UNC), where she studied history and economics. It cemented her commitment to learning more about socioeconomic gaps and to eliminating educational inequity. A Phi Beta Kappa honors graduate, she had many career options in the private sector. Emily had a brief career in business and pursued an MBA and a Master’s degree in public policy, both at Harvard. While in the Northeast, she was on the ground floor of the charter school movement. She worked for Victory Schools, a charter school management company in New York, as well as the Boston-based Academy of the Pacific Rim. These experiences crystalized for her that education is by far the most effective social intervention. 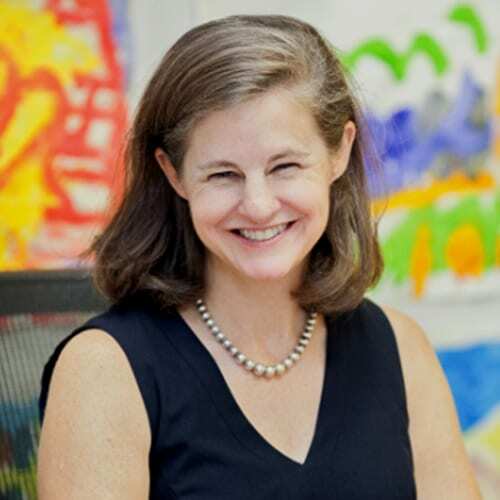 Unwavering in her pledge to return to her hometown of Washington, DC, and with financial support from the Foundation, Emily founded DC Prep in 2003 with a single school and a few grades. Today, the public charter school network (or CMO) has five campuses and serves more than 1,700 preschool through eighth grade students in Wards 5, 7 and 8 (traditionally Washington’s most under-resourced neighborhoods). An award-winning school, DC Prep has been the highest-performing network of public charter schools in the nation’s capital for five years running. The Foundation continues to support DC Prep to promote opportunities for students in Washington, DC. Under Emily’s leadership, DC Prep is bridging the educational divide in Washington by increasing the number of students from underserved communities with the academic preparation and personal character to succeed in competitive high schools, college and life. DC Prep aligns Emily’s passion, purpose and resolve to make her hometown a better place through education. Throughout her journey, Emily remains grateful for that formative opportunity as a Martha’s Table volunteer, for opening her eyes to the significant inequities that persist in the District of Columbia.